Music to my ears! And so we began to tour spaces for her minimalistic monochromatic wedding. Sarah chose the perfect venue, the O’Born Room at the National Art Centre- my current favourite space to design in. With such a gorgeous blank canvas with endless natural light it was easy to envision, design and choose vendors for Sarah’s wedding. Our mood board boasted fresh crisp colours with my signature touch of acrylic furnishings, invitations and table stationary. I went as far as designing and building acrylic charger platforms that allowed for a gorgeous pave of florals to be seen through them. During her time abroad, Sarah gave us complete trust and allowed us to guide her through the wedding planning process without question. I mention this because it’s important to understand that a wedding materializes in it’s own time. Should you try and rush the process- chances are you’ll be making decisions too far in advance, where in reality- I can guarantee you’ll be changing your mind closer to the wedding date. About %80 of our clientele is what I like to call “reverse destination brides”. Meaning, they now live abroad and are planning their wedding back in Ottawa. It’s also not uncommon for us to officially meet out brides the day before their wedding. Crazy right?!? This all goes to show, when you trust your planner and vendors to do what they do best- magic happens and expectations are exceeded. So without further ado- Sarah & Darien’s gorgeous wedding bellow. More and more clients are asking for me to design their weddings- but no necessarily coordinate and manage the full affair from A-Z. Personally, for the complete experience, Full Planning is the best investment you will ever make. BUT! There are some brides that love the research, planning, coordinating and endless vendor emails while using our online tools to keep organized. The ideal service for couples who are working with an on-location planner provided by their venue, but seek professional assistance creating and executing a curated, cohesive wedding aesthetic. Our team will work together from the time of engagement to create your own personalized "brand," suggesting and sourcing everything from stationery to tabletop and reception layout. We will also suggest relevant wedding professionals whose aesthetic suits your event style, and we will work closely with your photographer and videographer on the wedding day to create styled vignettes and detail photos worthy of publication. But let's break it down for you in detail! Includes one in-person design consultation where we can sit down together and chat about your priorities, budget allotment and your overall vision for your wedding day. We typically like to pair this with a site-visit so we can walk the space as we imagine all the possibilities and room layouts. After our main design meeting our team gets to work curating as first look at your mood board. Once the mood board is approved we then move on to creating your full Design Profile which includes, floor plans, sketches, blooms list, tabletop inspo. This document is for you to show your prospective vendors your overall vision and aesthetic. Upon booking we automatically set you up on our planning platform where you will have access to all our tools. This includes a design studio, guest management, timeline creation, budget tracking, guest seating, notes section, Toast bridal tasks lists and even your very own wedding website. Upon design completion a list of carefully vetted vendors will be provided to complete your look. We offer clients an additional vendor appointment of your choosing to accompany. This could be your florist, furniture rental company or stationary artist. On the day of your wedding our team will supervise the implementation of your design while working together with your photographer and videographer to create styled vignettes and detail photos worthy of publication. This includes full rein on our styling kit filled with gorgeous Mrs. Ring Boxes, hand died silk ribbons, vintage stamps, linens, props, styling board for flay lays etc. Choosing your wedding planner will be your most important decision. An investment that can pay of two-fold in saving time, keeping it stress free, and convenience- industry short-cuts. But disclaimer- only if you research and choose the right planner for you. So where do you begin? Well the fact that you know you need a planner means your a million miles ahead the rest. You're already saving yourself hours of research and anxiety. What I can tell you is that the basic questionnaires provided online to interview a planner are, well- garbage. A good planner will most likely have an FAQ page that answers all those questions. But what's most important can't be obtained through blasé questions. So here are 5 things you need to consider. Does she get you? I always love it when a client does their research about my company prior to contacting to obtain our services. By doing this, it's already been established that they already have a good feeling for who the planner is and what their company stands for. So ask yourself- are you looking for a planner who is more design oriented or one who focuses only on planning and organizational and administrational details? Or do you require a planner that specializes in Day Of Coordination only? Discovering what type of partnership your looking for first and foremost important. This will help you narrow down your choices. Ultimately you want your planner to vibe on your level. When speaking to them you should automatically feel a genuine connection and be able to establish a good level of trust. 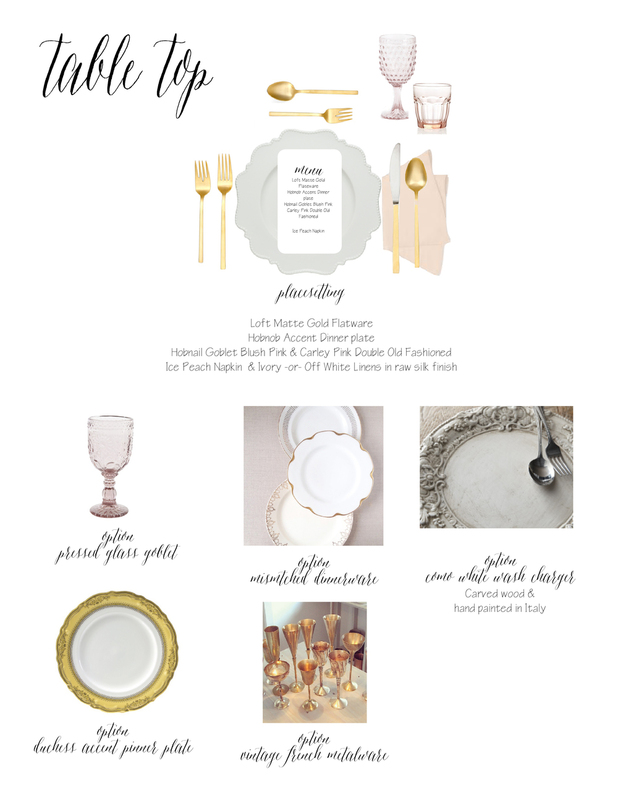 Does this planner mirror the style of wedding that your looking to create? Does she inspire you? And most importantly is their marketing and advertising genuine. Are they showcasing they're own clients or just inspirational images that aren't they're actual work? With social media these days, it's sometimes hard to tell. What I can say is "buyer beware". Some companies talk the talk but when push comes to shove- the experience is less than enthusiastic. I'll be writing about this exact subject in the coming weeks so be sure to check back! It's not enough to only gauge a planner on how many weddings she's planned or how many years she's been in business or if she's "certified". If you really want to know her standing, ask whom her recommended vendors are, whom she's affiliated with, if she's on any preferred vendors lists, if she's been published and where, lastly, how many employees does she employ. This can provide you huge insight into how she operats her business and the success it's provided her. This is a big one for me. How many clients do they take on per year. If your looking for a more attentive planner, their client roster will most likely not exceed 10-16 weddings per year. If their boasting 20+ clients, you can count on delayed emails, details missed and a tinge of stress. If your a chill bride- then perfect. All the insight provided in this post is purely so that you're "in the know". A bit of insider insight so that you can make an informed decision. And if I can give you any advice- don't rush, if your going to do any research at all, make sure it's on your potential planner. Because with a good planner the rest should be history! Literally. I feel like an oldie in the industry. Gone are the days when I was the youngest person to do everything. Starting in the biz at the age of 23 back in 2007, wedding planners were just starting to become a thing and the job title of an event planner never existed. Needless to say, I’ve seen and dealt with a lot – and hey, I’ve made mistakes too. But learn from my lessons ladies as the advice I’m about to give is unapologetic and may step on some industry toes. But you deserve to know the truth and I like transparency and honesty. Let me start by saying the industry is competitive- wedding vendors and planners pop up one year and are gone the next. Why you ask? Because the glamour aspect only lives for so long and they don’t realize how much work’s involved. Quite simply, they burn out. It’s a tricky business and the last thing you need, is to fall into their pit of over promise and under deliver- or worse, never show up. A wedding coordinator provided by your venue is not the same thing as a wedding planner. There are 3 different types of planners out there. Venue event coordinators, wedding planners and the “weekend planner”. Please know that a venue coordinator is absolutely NOT the same things as wedding planner. Now, I’ve written a nice long blog post about this so feel free to click this link for more insight. In a nut shell a venue coordinator only takes care of the venues details for it to function properly from a food & beverage standpoint. A wedding planner on the other hand manages all aspects of your wedding from inception to execution. The event coordinator from your venue is definitely not interested is creating your day of timeline, securing your vendors and making sure they abide by their contractual agreements. Then we have the “weekend planner”. A term I’ve dubbed for young girls who like to plan weddings as a hobby. I’m going to say a little prayer for you right now if you’ve already hired one, because as they might be organized, decorate and look pretty but on the day of, if anything were to go wrong- they wouldn’t have the experience or the insight to make a judgement call on your behalf. It really does. Like I mentioned before, some seasoned professionals debuted when there were not educational programs available- thus they are self-taught. Be leery of planners with credentials from online institutes and weekend courses. There is absolutely NOWAY you can learn to plan a wedding and call yourself a planner after only taking a weekend course. So please, ask your prospective planner her background and don’t be scared to ask them about their credentials. I good planner is interviewed- but a great planner is actually interviewing you. I, as a planner also want to make sure the prospective client is a right fit for my company and hence do right by her. Her expectations need to be on par with my own as value and quality will not be sacrificed on my watch. You’ll never catch me cutting corners just to save a buck. How many weddings does she really do? It’s a double edged sword because in one respect you want to know that your planner has a healthy client roaster because that means she’s good at what she does and clients are seeking her out right?!? !… WRONG. That’s not always the case. A high client roster can also mean that you’ll essentially be the runner up to someone else wedding. That means waiting on her emails and details slipping through the cracks. What you need to do is find out why she takes on so many clients and for what reasons. Now I know you’re asking yourself, “So what’s Elise’s magic number?”. And to that I say 16 with a core staff of 5 girls, give or take an intern. Mucho importante. Is she a solo gal or does she have a dedicated team? When I first started out in the industry it’s actually hard for to believe I did it all on my own. Legit by myself. Like what was I thinking?!?! Well I can simply say, I didn’t know any better. Now days I refuse to step onsite without my planner protégé and a junior planner. Because let’s get real, I could use 6 of me during certain times throughout the day when there’s a lot going on in a short period of time. So know that when you sit down after your grand entrance for dinner- we will be there to take your drink order. Is she highly recommended by her peers? Do it. Drop her name while your shopping around for vendors and see what those fellow industry players say. Is she on the preferred planner list of key wedding venues and vendors? You should want to know about the relationships she’s built over the years. If she’s made the coveted preferred vendor list of some of the biggest players, then you know she’s earned it based on her integrity and hard work. 1. a person who spends time in a particular place only on weekends. Good marketing and a great website can be misleading. If you’re going to do any homework, now is the time. If you’re lucky this will be the only step you’ll really need for vetting a vendor. Once you have a reputable planner on your team, she’ll do the rest of the heavy lifting. She charges a premium for a reason. I know you’ve heard it before from your girlfriends “The best money I spent was on my planner” and it couldn’t be more true! Trust me when I say, I don’t want these words to come out of your mouth- “If I could go back- I’de have a planner”. It kills me when I hear this, because I know #TheStruggleWasReal. So real that I just had to hashtag that. Ask yourself “what am I paying for when I hire a planner?”. Pure and simple “peace of mind” and a chance to feel like a guest at your own wedding. My last words of wisdom. Remember how I told you I’ve made my mistakes too. Well here’s a confession paired with my opinion on planners that provide “added services” such as florals, decoration packages etc. I, once upon a time provided clients with floral design. A great money maker, but man oh man did it burn me out. Not only that but it increased my stress level by %110 percent. Not only was I liable and in charge of such an integral design element, I also had all the planning duties as well. No bueno. And any other planner out there doing this, I say stop! You’re overloading yourself and you’re going to drop the ball. To all brides out there, don’t ask this of your planner. So there you have it. My unadulterated insight. Although i'm a serious paper pusher and a little bit too organized for my own sake, I really am a designer at heart. I design purely on feeling, so if your talking to me about a particular creative element you'll hear me say something to the tune of "I'm really "feeling" the tattered look, haunted...almost like we printed your invitations on a piece of torn wall paper from an 18th century Parisian chateau"... or "I need to "feel" the movement in the florals, wispy, ethereal..". There are so many things we take into account when we're styling a wedding. Because we want it to reflect the client style, we'll take in as many details as possible from Pinterest, movies you love, books you read, places you've traveled and really just things you like. I sometimes think knowing exactly what you don't want can help me hugely in the long run. It's like a spiders web, if you don't like modern design styles then we know you also wont like a host of other thing which we can rule out right at the get-go! It's also about curating your wedding to the smallest detail from font choices, RGB color codes, paper weights, creative twists on traditional wedding decor etc. We even go as far as hand-making specialty "one-of" decor accents to ensure your wedding is completely unique- a reflection of you. We want Aunt Betty to walk in and say "OMG that is so Sarrah". So what does styling look and feel like with us? Well! Your customized style file comes wrapped in a pretty little box right at your door step, the old fashioned way. Snail mail. I like to think it makes the experience a little bit more tangible! Bellow is a great example. Enjoy! Destination Deutschland... Chateau hopping elfresco. Need we say more? It's hard to explain how much I love this couple and the journey we had together. I count my blessings for having the opportunity to celebrate a truly European wedding without the hassle of overly fussy details, and where sipping champagne and eating cake superseded dinner in the courtyard. The ceremony and reception were held in two separate castles, in two separate villages near the gothic city of Dresden. The second reception castle "Schloss Scharfenberg" is a rustic medieval rock castle in the Palatine Forest built during the first half of the 12th century. The estate was exclusively ours with traditional accommodations conveniently located in the tallest tower with an endless spiral of stairs. As night fell and the festivities continued, the castle became illuminated by hundreds of candles with a free invitations to roam the maze of rooms and if you dared, the basement dungeon. This experience was like non-other I have ever had. Truly the most romantic destination wedding we’ve ever encountered. This couple and their wedding will be forever in my heart. Recently I've been doing a lot of styling. I just can't help myself - I love beautiful things, sprucing up areas and just all around refreshing everything and anything. So when Meg from the Handmade Bride told me she was doing a Boudoir shoot, I just had to get involved. The thing I liked most about this particular shoot was the emphasis on building a "comfy and cozy" environment to allow participants to feel more at ease and among friends. There was champagne, fruit & croissants upon arrival, with a professional makeup artist Klava Zykova, jewelry and lacy embellishments to enhance their experience from The HandMade Bride and of course the lovely Katie Soulier or KJS Photography. Fingers crossed that The Handmade Bride will be hosting many more of these!